The term “lateral pipe bursting” is not yet a part of any contractor’s vocabulary. 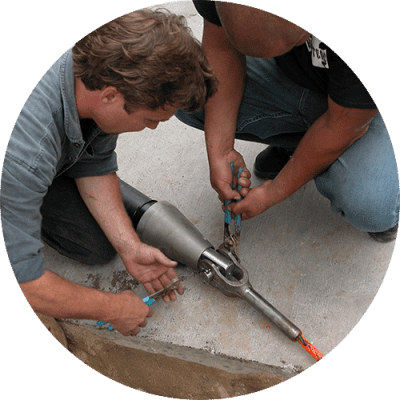 Repair or replacement of a home sewer means digging it up—in whole or in part—with results that are messy, disruptive, and often incomplete. Ward Carter, foreman with an underground construction firm near San Francisco, assembles and tests the prototype of what will become the TRIC lateral pipe bursting system. 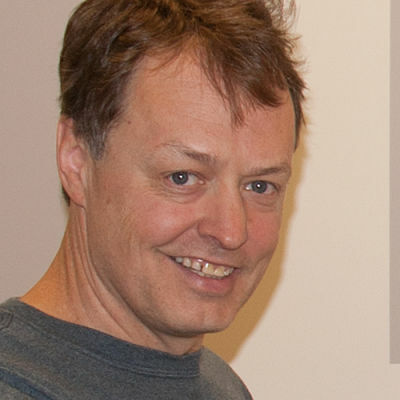 His father, engineer Robert (Bob) Carter, develops drawings and applies the manufacturing principles that turn Ward’s idea into a viable product. This whole process is not new to the Carters: Bob's father, Mitchell Carter, had invented the Coleman Stove, the Garbage Grinder, and foam rubber. Innovation just runs in the family. 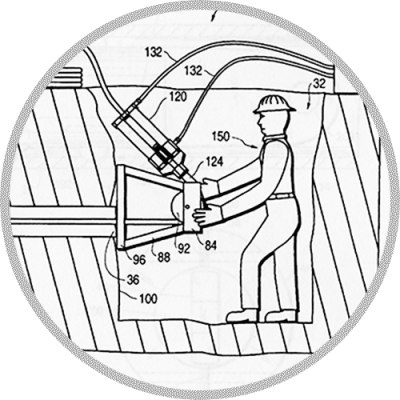 TRIC begins pursuing patents at home and abroad, campaigning relentlessly for approval of HDPE plastic pipe in residential building codes. 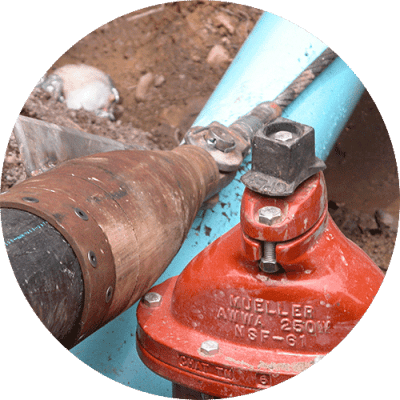 These combined efforts establish the lateral bursting industry, and set the TRIC method as the gold standard for trenchless lateral replacement across America. 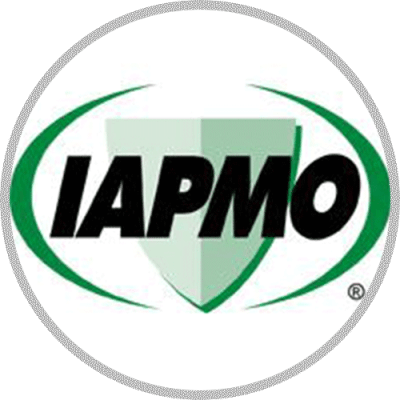 TRIC receives IAPMO approval and a UPC listing for trenchless underground pipeline replacement using TRIC equipment and methods at the IAPMO meeting on August 31. The new standard appears in the January publication of the Uniform Plumbing Code. The Installation standard for Trenchless Polyethylene (PE) Pipe for Sewer Laterals is IAPMO 26-99. Most US cities approve the TRIC Trenchless pipe replacement method soon thereafter. TRIC registers both device and method patents with the U.S. Patent and Trademark Office, and international patents for device and method in Canada, Australia, Brazil, Mexico, and New Zealand. Patent applications are pending in Japan and Norway. The TRIC formula—tools that are simple, modular, compact and adaptable—is applied to other utilities, including larger pipes of various materials, in commercial and municipal projects around the world. HDPE pipe becomes certified for use in hot and cold potable water applications, fully opening most replacement projects to the use of TRIC Tools and proven techniques. To provide the best equipment and information to empower the trenchless revolution in the replacement of failing underground pipelines—sewer, water, and gas—and to expand our technology and method from private homes to municipal projects, and ultimately to public policy across America and beyond. 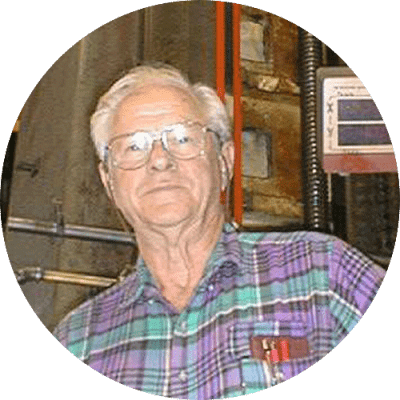 TRIC Tools Inc. invented and marketed the first practical sewer lateral pipebursting system, thus establishing the industry of trenchless home sewer replacement in America. 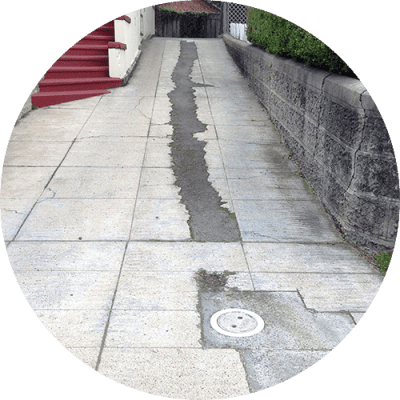 Private sewer laterals have since been clearly identified as the primary contributor to sanitary sewer overflows in municipal sewer systems, leading to chronic pollution of open streams and waterways. Like all other underground pipelines—large and small, public and private—sewer laterals are just the tip of the iceberg of urgently needed repairs to wasteful and dangerous underground infrastructure all over the world. We foresee a viable and evolving green technology promoting efficient, economical, and timely replacement of bad underground pipelines locally, nationally, and globally. We intend to expand our methods and machinery to accommodate our vision of a growing trenchless industry. 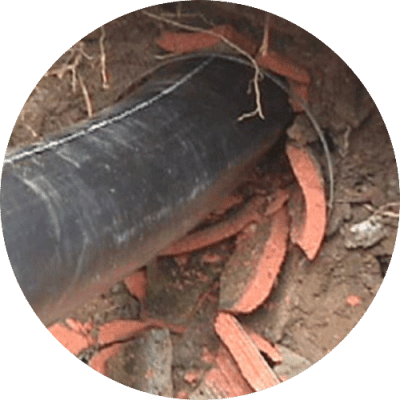 Sewer, water, and gas pipes come in all sizes and various materials, and each utility line has a particular set of conditions, be they mechanical, geographical, or political. TRIC is constantly exploring different ways to apply our tried and true technology towards new and untested challenges in the trenchless industry. There is still much to be done. Crumbling underground infrastructure causes waste and environmental degradation in communities everywhere. 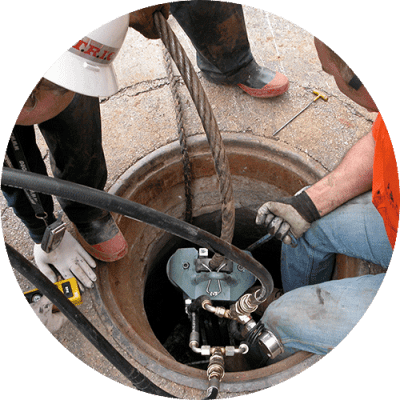 Our goal is to build upon our success in trenchless sewer replacement, while we address other problem utilities with equally inventive solutions. 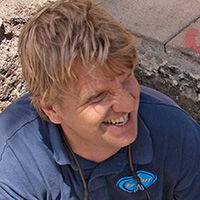 Bill Seals comes to TRIC with decades of experience in the trenchless community. 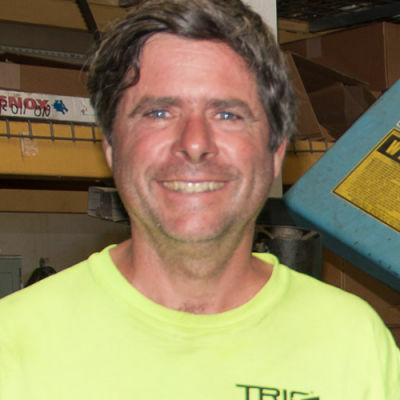 Formerly with Spartan Tool, Bill is now the Midwest Region distributor for TRIC Tools, based in Kansas City. 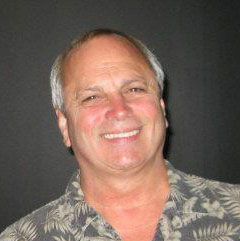 Bill excels equally in technical know-how and customer service. 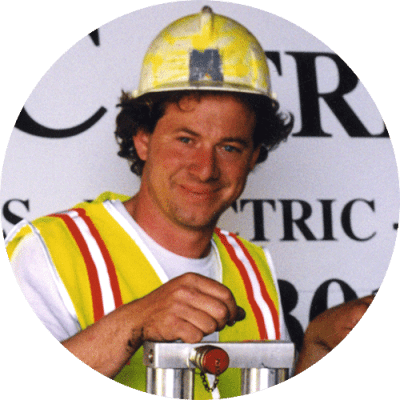 He travels far and wide across the midwest to demonstrate TRIC equipment and train clients in every aspect of the TRIC method. 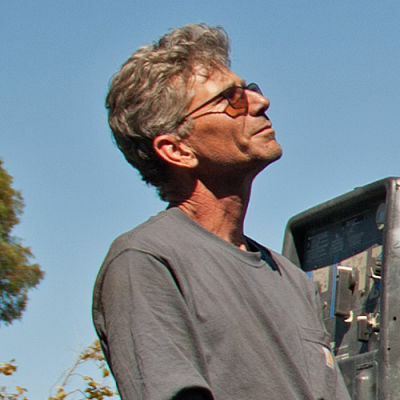 We are very lucky to have Bill on our team! There’s a hang-gliding connection that historically permeates the TRIC staff. Dave and Ward have flown for years as members of the same hang-gliding club on the coast just south of San Francisco. It was there that “Super Dave,” as he became known, soon established himself as a top pilot. 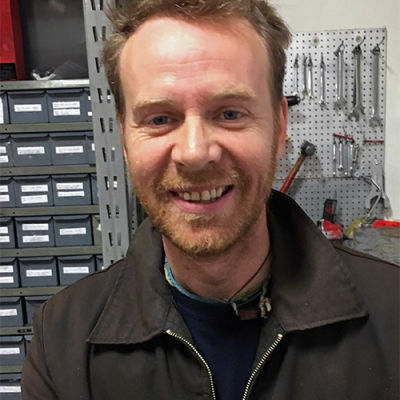 A relative newcomer to the TRIC team, Dave has already lived up to his reputation in the shop and in the field, and has become a great asset to the R&D fab department. David also brings another side as well, a musical talent, which became an itch needing to be scratched. With a graduate degree from Northwestern, David lived in Miami for a year singing with the Greater Miami Opera, and spent the next 15 years singing professionally in New York. David married a California girl, also a professional singer, and eventually relocated to the Bay Area to raise their two kids. Duane has been with TRIC intermittently since the early days. After spending his first years assisting with field operations and training, Duane now assists with day-to-day operations. 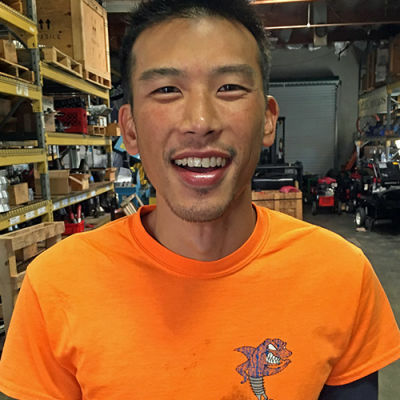 Depending on his docket, Duane might cover three counties in his delivery vehicle, or three different production tasks in the machine shop. 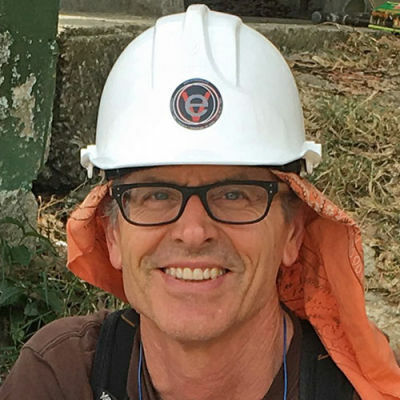 A Stanford graduate with over 16 years at TRIC, John has a keen understanding of the TRIC method and all its evolving applications in the underground industry. 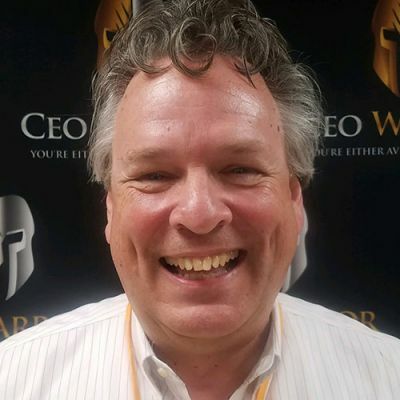 John first worked as a field trainer for TRIC, and is now responsible for corporate identity, advertising, print and web design, product support, and technical writing. He also holds a General Engineering Contractor’s license in the state of California. Holding a degree in Business Accounting from Peralta Community College in Oakland, CA, Laura’s administrative and organizational skills are key factors in TRIC’s success. She keeps the office on track, and her native Spanish is invaluable to company operations and customer support. As a mother of three, Laura knows how to create order from chaos! With a name that evokes a character from a pulp-fiction detective novel, Maxwell Darrow in fact comes to TRIC with little mystery. 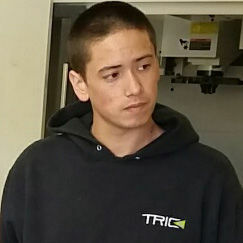 After completing an industrial drafting program at Butte College in Oroville California, Max was hired as an intern in spring of 2014. Since then he has familiarized himself with many of the specialized machining processes required to manufacture a TRIC system. Max now combines his drafting and modeling skills with his newly acquired machining skills in support of the R&D department. When she first contacted TRIC back in 2007, Meryam Brenner was already a veteran of the underground construction industry. 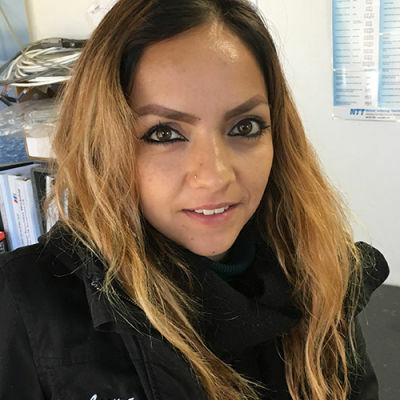 For her very first project with us, she facilitated a $400,000 sale of TRIC pipebursting equipment to Russia, in association with our Moscow-based distributors Z-Techno. 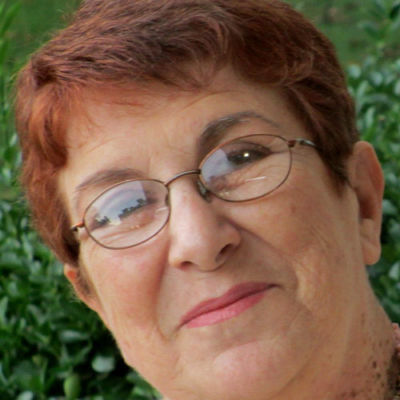 Born in Latvia, Meryam speaks Russian, Hebrew, and English in addition to her native Latvian. She continues to promote TRIC products and offers invaluable customer support throughout Russia, the Baltic States, India, and Israel. Michael comes to TRIC after years of experience at Citibank in New York and San Francisco. While in New York, Michael had a ten-year career in classical theatre, improvisation, and murder mystery. Perfect experience for TRIC! Today Michael oversees day-to-day operations at the new TRIC headquarters and manufacturing facility near the Oakland International Airport. He also reports on company activities with regular online press releases. No one can get a TRIC system up and running faster than Steven. 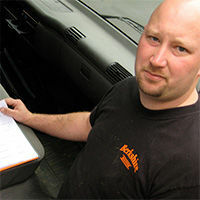 Extremely knowledgeable and dependable, Steven ensures that customers can count on their equipment when it matters most. He takes the time to help customers fully understand what makes their equipment tick. And when something is amiss with any system component—especially hydraulic pumps—Steven will have a ready solution! When not hang-gliding or salmon fishing, Ward is in the shop working on future practical inventions, as well as troubleshooting and refining existing products. 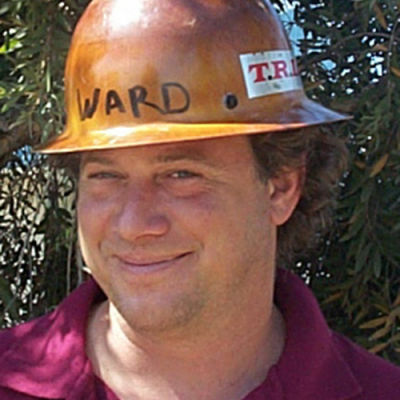 Ward invented and field-tested the first TRIC trenchless system, and still leads the development of new products and accessories. We’re proud that TRIC Tools help a wide array of utilities, municipalities and contractors get the job done right the first time, with speed, accuracy and cost-conscious operation. We’re happy to send you a list of our selected clients on request. "The TRIC system gives you instant payback. It is an easy-to-use, quality system with superb tech support. We looked hard and far and found nothing comparable"
We’re always on the lookout for smart, motivated people with the desire to work with one of the best teams in the business to help our customers find innovative, cost-saving solutions to their underground pipe replacement challenges. If you enjoy thinking beyond the horizon and finding ways to say “yes,” we’d love to talk with you about coming on board here at TRIC. If you’re an equipment retailer who’s ready to step up to the best, we’re happy to discuss the possibility of you becoming the latest TRIC Tools Distributor. Contact us today to let us know how you share our vision, and we’ll see how we can help each other.